At 75 Degrees, we take duct testing, system integrity and duct cleaning very seriously. Have you seen the inside of your duct system lately? Dirty ducts are a major cause of allergies and respiratory problems. Periodically cleaning your duct system can prevent health challenges for you and your loved ones, save you money, and enhance and lengthen the life of your AC system overall. Your heating and cooling system is the lungs of your home. The system takes air in and breathes air out to your living space. In a typical six-room home, up to 40 pounds of dust is created annually through everyday living. How often do you see dust in your home and have to clean it? When’s the last time you did that for your ducts? Our evaluations are only $45.00. Through normal occupation in a home, we generate a great deal of contaminants and air pollutants, such as dander, dust, and chemicals. These contaminants are pulled into the HVAC system and re-circulated 5 to 7 times per day, on average. Over time, this re-circulation causes a build-up of contaminants in the duct work. Do you have pets? The same happens with their hair and debris. While dirty ducts don’t necessarily mean unhealthy air in your home, school or workplace, they may be contributing to larger health issues harboring contaminants that could cause serious problems for people with respiratory health conditions, autoimmune disorders or some environmental allergies. Our trained specialists use top quality equipment to evaluate your ducts. Cleaning and sealing your duct work reduces the pollutants in your home, making it a safer and healthier place for you and your family. With less dust in your ducts, you can also count on a longer life of your coils, which will cool and heat more efficiently. It’s a win-win situation. Schedule a duct test evaluation today for only $45.00. If you don’t need it, we won’t sell it to you. Duct Cleaning prices begin at $299.00/unit. Don’t trust us? We have a camera system that can show YOU the inside of your duct system so you can be the one to make a choice for your family. Ask us about it. 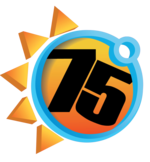 75 Degrees is an air conditioning and heating company serving the greater Las Vegas, North Las Vegas, Summerlin and Henderson, NV areas. Energy efficiency and excellent customer care is our primary focus.